z-Old Categories Apple iPhone 6: is this a real hands-on-video of iPhone 6 ? Unfortunately the back-side of iPhone 6 didn’t get luminous, but it is made as a metal and carved apple in this iPhone 6. the most interesting point is that it is made from alloy of metals – Liquidmetal and this is a metal of future: it is difficult to scratch it, it is re-established very good and stable from corrosion.This iPhone 6 has virtually Unibody-case, which is like a MacBook and It is absolutely solid and even this plastics on the top doesn’t separate as a case. They even stripped this iPhone 6 to convince us as it is an original product. A system board and etc. on closer examination it can be seen that the iPhone 6 is working on Apple A8 chip, module NFC is also found on the system board. The front part of the body as kinda rounded at the edges of the screen, it is incredibly beautiful. By the way, this is not the sapphire,sapphire crystal is technologically very difficult and very expensive to do, it is another glass – it might be sandwich sapphire or tempered glass. But it’s even nicer to feel and more transparent. Touch ID button is not convex, and it is comparable to the iPhone 5s, but the ring itself has decreased in the button, and the area of ​​the sensor increased. and in fact, Touch ID should work better. If we look at the upper part of the panel – we can see that FaceTime camera is not over the speaker, but from the side, as it was in the iPhone 4 and 4s. In general, iPhone 6 appears like a big iPod touch 5th generation. The volume buttons on the side are the same. Lower part – speakers and microphone – the idea of iPod again. Lightning did not go anywhere – no change in it., SIM holder stays on the right, the same nano SIM, Flash remained a double, it’s called True Tone, but many are worried because of the fact that it is round again, but the camera itself is now sticks out from the body like iPod touch camera., but the module is improved, but it does not fit as a slim body, So Apple had to make sacrifices. and finally concluded that as iPhone 6 will blow the market! 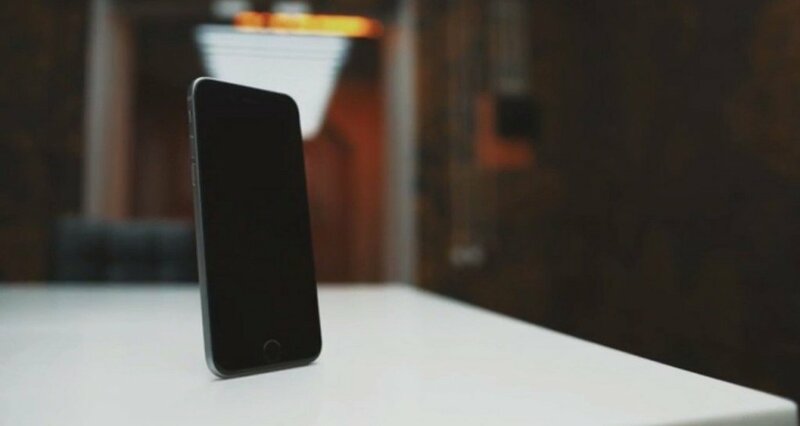 so what your thoughts on this iPhone 6 hands on video (review) , do you think this is the real iPhone 6 or just an iPod 5th generation ? Previous articleSony Xperia Z3 vs Sony Xperia Z3 Compact: Which to Choose?